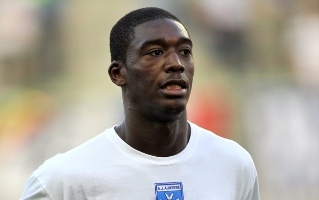 Reports have emerged claiming that Arsenal boss Arsene Wenger has confirmed discussions are underway over Auxerre starlet Yaya Sanogo. The 20 year old, has scored nine goals in just 11 league appearances for the Ligue 2 outfit. The France U21 international’s current deal expires this summer and reports in France have claimed he has agreed a four-year deal with the Gunners. “It is in the advanced stages but it is not done,” Wenger said, when asked about Sanogo.